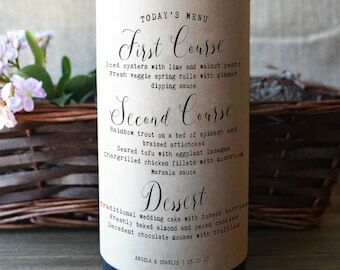 This printable wedding menu is the perfect touch for your celebration! Great for weddings, birthdays, anniversaries and any special occasions where you need to stay on a budget. 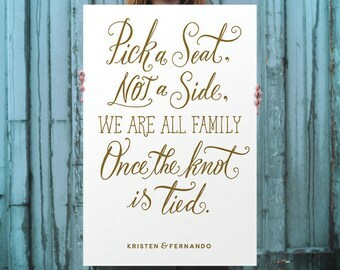 ❤ Printable digital file in high resolution PDF. 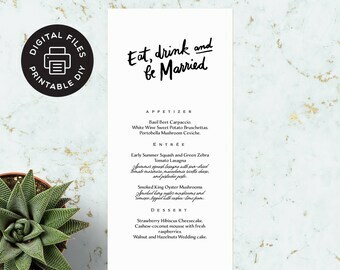 ❤ Each menu measures 5.5 x 8.5 inches. 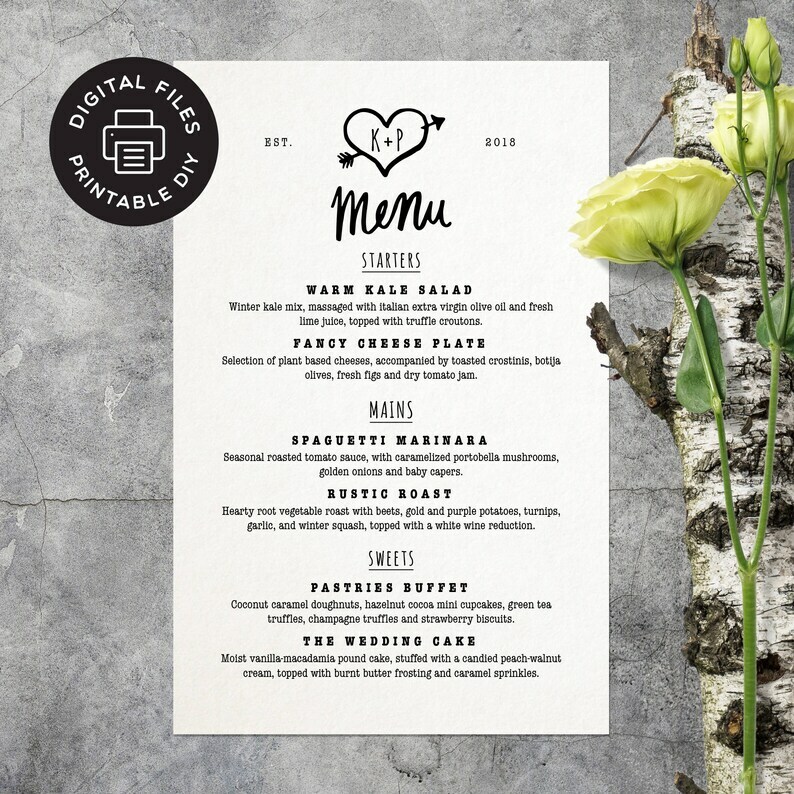 ❤ Comes with 2 identical menus per letter-sized page. ❤ We will personalize this for you, so you will only need to print the file (no editable PDF templates will be sent). 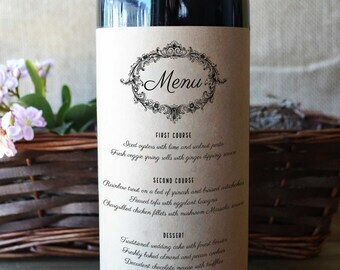 - Complete text for your menu, in the order you want it to appear. 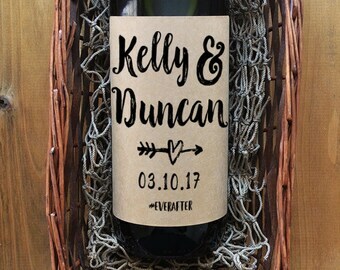 - Initials of the couple and event date (optional). If the date is not sent, this space will remain blank. - A valid email where you want your files to be sent (if different from your Etsy account email). - Please proofread your text before sending it. This listing does not include proofs. 2. 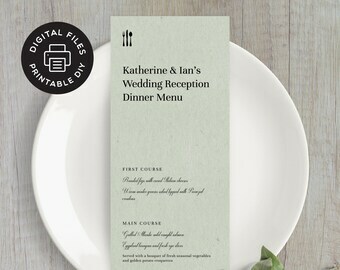 We will email you the personalized file in PDF (for printing only). Our processing times are 3-5 business days. Processing times will start after we receive your custom text. 3. 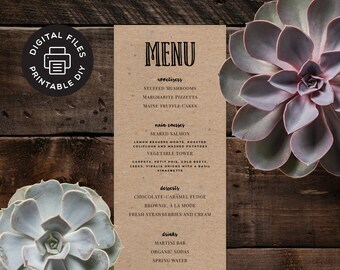 Print your personalized menu at home or at a print shop. 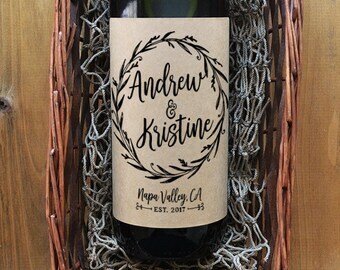 Use cardstock for an elegant look, or kraft paper for a rustic look!